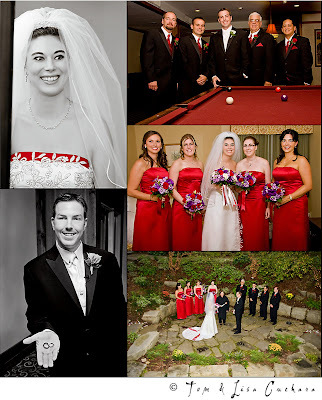 We had a lovely time photographing Kristine and John's wedding at the Heritage Hotel. Here is a little sneak peak of their perfect day! Isn't Kristine's dress just breathtaking. You all know how much I love black and white and color and when I came into her room before the wedding to photograph her I just stopped -- she was radiant and this dress was just awesome on her! Wow! 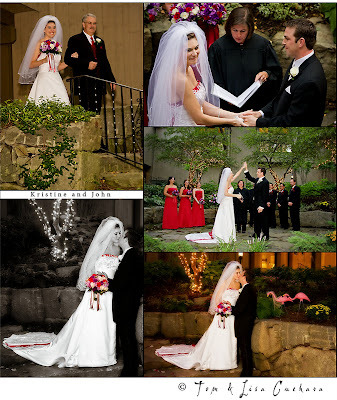 The rock garden at the Heritage was a perfect place for a wedding ceremony. The beauty of the place! I do believe that the rock garden had the natural beauty of the Fibonacci spiral and abided by the golden ratio! 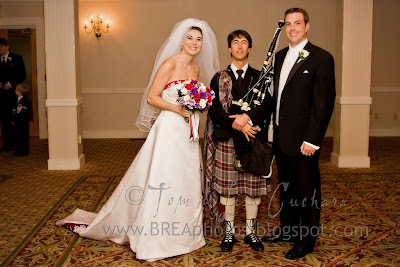 John surprised Kristine by having a bagpiper step onto the balcony and play just a she started walking down the pathway leading to the rock garden.